The U.S. Census Bureau says a place is rural if it lacks any urban cluster of 2,500 or more people, but "In a country as large and varied as the United States, characterizing 'rural' is almost impossible." That's how DTN paraphrased remarks that bureau Director Robert Groves made at a Council of Foundations meeting in Kansas City this week on rural philanthropy. Groves "noted that three facts do stand out: Rural places have twice as many gas stations per capita as metropolitan America, have about the same number of eating and drinking establishments, but have only half as many dentists' offices." Access to health care is a chronic problem in rural areas, and research has shown that oral health is linked to overall health. Groves said the last decade saw population losses in agricultural areas far from cities, and a demise of many small businesses because of the Great Recession. Those at the meeting also heard from sociologist Cynthia Mildred "Mil" Duncan, research director of AGree, "a foundation-funded effort on the 2012 farm bill," which has as one goal "to shift the focus of the farm bill to local foods and job creation," DTN reports. Agriculture Secretary Tom Vilsack said this week that the federal government has so many definitions of "rural" that local officials have difficulty determining what programs apply to they communities, and he will go to the White House Rural Council to get the number of definitions reduced by Congress. Carolyn Orr of the Council of State Governments reports on her weekly AgClips about her attendance at a meeting of rural representatives at the White House this week to discuss the White House Rural Council, headed by Agriculture Secrtetary Tom Vilscak and Interior Secretary Ken Salazar. "It was an honor to be around the table with a dozen leaders who have been campaigning for rural issues for a long time," Orr writes. "The Rural Council is not some left wing conspiracy, regardless of what you might read on the Internet. It is the Obama administration’s iteration of what every administration has made some attempt at – recognizing the uniqueness of rural America." The nation's top mine-safety official, Assistant Labor Secretary Joe Main, said today that he is "cautiously optimistic" that most coal operators are "getting the message" and improving safety in response to special inspections the Mine Safety and Health Administration began after last year's major coal-mine disaster in West Virginia. MSHA has issued more than 5,000 citations in the "impact inspections" since April 2010, or well over 300 per month, but last month's total was only 222. MSHA said in a news release that some mines are still chronic violators. The special inspections target mines with "poor compliance history or particular compliance concerns," the agency said. It gave two specific examples from last month, one a cement mine in California and the other a coal mine in East Tennessee, which had also been inspected in March. After commandeering the surface telephones at S & H Mining in Anderson County "to prevent advance notification," inspectors issued seven orders and 24 citations, "nearly half of them designated as significant and substantial," said the release, which also linked to a spreadsheet of last month's inspections. The latest census numbers show rural Americans make up only 16 percent of the nation's population, a 4 percent decrease from 2000, and the lowest figure ever. 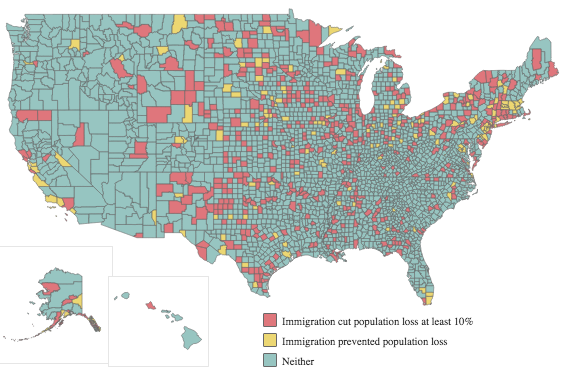 The rural population is still growing, just not as fast as those of cities and suburbs, and almost half the 1,104 counties that lost population "were counties that were isolated from metropolitan areas and had small or nonexistent urban populations—the most rural areas," the nonprofit Population Reference Bureau says in a new report. Changes in rural and urban population definitions may also affect population numbers. "People can become urban overnight without moving an inch, just because a change in the definition of a place from nonmetro to metro," the Yonder notes. In the 2010 Census, urban areas were defined as areas of 2,500 people or more with at least 1,500 residing outside institutional group quarters; rural encompasses everything else. The criteria to define "urban" changed from 2000. To see a comparison of the 2000 and 2010 criteria for urban areas, click here. The Census Bureau doesn't yet have state-by-state breakdowns of rural and urban population, but the 2009 estimates as calculated by the Daily Yonder, which uses a middle ground of "exurban," show Vermont as the most rural state, at at 66.54 percent of its population. Montana (64.6), Mississippi (55.6); South Dakota (53.53) and North Dakota (51.1) round out the top five. Below the majority-rural line, there's a dropoff to West Virginia at 44.3 percent. Then come Iowa (43.3), Kentucky (42.2), Maine (41.4), Nebraska (41.3), Wyoming (41.2) percent and Arkansas ()39.6). For the Yonder's spreadsheet of all states, click here. The "exurban" category can make a big difference; by the Census Bureau's last count, Maine was 60 percent rural, second only to Vermont at 61 percent. The Yonder's definition of "exurban" is counties where approximately half the people live in rural settings. Many of those are in metropolitan areas. Institute for Rural Journalism and Community Issues Director Al Cross was promoted to associate professor this month, making him the first tenured extension faculty member at the University of Kentucky outside of the College of Agriculture and the only known extension professor of journalism in the U.S.
As an extension professor, most of Cross' work is directed off campus and involves working with rural and community journalists nationwide. His goal, and that of the Institute, is to help community journalists define the public agenda in their communities and report on regional issues. The Institute of Electrical and Electronics Engineers has completed work on technical standards for ‘white space Internet’ frequencies once used by analog television. "With a much greater range but significantly reduced speed, the most likely application of the new standard is to provide coverage for rural and remote areas that have so far had considerable difficulty accessing the Internet," James Lee Phillips of International Business Times reports. 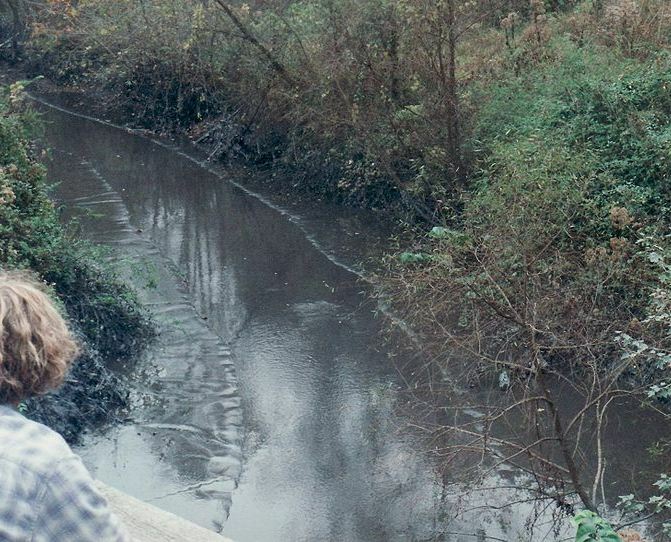 A journalist's latest and probably final attempt to get information about now-defunct Massey Energy's gigantic coal-slurry spill in 2000 was denied by a federal judge in Washington, Aaron Mackey of The Reporters Committee for Freedom of the Press reports. District Judge James Boasberg, an Obama appointee, ruled that 77 lines of redacted material should remain confidential, to shield internal government deliberations and protect the individual employees' privacy. Boasberg said the public interest in disclosure did not outweigh the individuals' privacy interest. 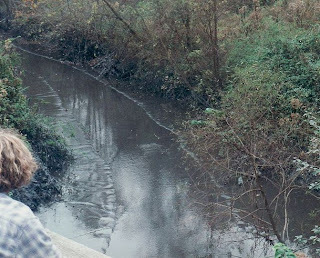 Ellen Smith, editor of Mine Safety and Health News, has spent eight years seeking documents from the investigation of the accident that polluted more than 100 miles of streams in and downstream from Martin County, Kentucky, with 300 million gallons of toxic slurry. (Photo of Wolf Creek by Dave Cooper) It was the largest environmental disaster in the southeastern U.S. until the BP oil-well blowout. After Smith filed two separate Freedom of Information Act requests, the government provided more documents, including previously redacted pages from a report by the Department of Labor's inspector general report. With only 77 lines remaining redacted, Smith hoped this lawsuit would grant access to that information, Mackey reports. Report a rumor? Sometimes it's called for. The Times Tribune of Corbin, Ky., made that decision this week because a rumor made viral by social media was raising the possibility of retribution and discrimination against an innocent person and his business. Having established the official concern, the newspaper weighed in on its own authority, reporting, "Attempts to contact the servicemen who were allegedly refused service have been unsuccessful. Allegations of business owners refusing to serve soldiers are rampant on the Internet." And it kept the story short: 325 words. There's just as long a story in how the 6,000-circulation daily decided to report a rumor that exploded on Facebook and Topix, the website with discussion threads for seemingly every community. Managing Editor Becky Kilian said she first heard the rumor Saturday, and by the time the office opened Monday, "It was pickling up multiple threads on Topix and was spreading to Barbourville, in the next county, and the police chief mentioned it to her in a conversation about another matter. "We were both concerned that if the rumor continued unchecked that it might contribute to an inappropriate action on someone's part," beyond the ethnic slurs and gullibility displayed online. Baker went to work on the story, and "In every aspect in Michele's reporting, it looked like a myth," Kilian said. "It might as well have been a Bigfoot sighting." When a Google search found similar cases elsewhere, involving ethnic or racial discrimination, Kilian knew the paper needed to publish an unusual story. "With the discrimination against a minority and the inflammatory langauge that was being used," she said, "it needed to be addressed." "This is the first time I think in my career as a journalist that I've ever been involved in a story that dealt with a rumor like that," said Kilian, a Corbin native who has been a journalist for 10 years and returned to her hometown as a reporter in 2009. She became managing editor of the Community Newspaper Holdings Inc. paper last year. "I just wish there was some way to educate people" that just because they read something on the Internet that doesn't mean it's true, Kilian said. "I wish we could teach news discernment." Situations like this call for editorial discernment, too, and the prevalence of social media mean that journalists may have to make calls like this more frequently. "So far today's story seems to have garnered a great deal of attention," Baker said in an email to The Rural Blog. "I received a call from a man who said he was among those who helped spread the rumor and the he now regrets it." To read Baker's story, click here. To read some of the discussion on Topix, click here. "These large projects enter at their own peril without involving the community," Tom Soto, an environmental activist and managing partner of Craton Equity Partners told Hsu. "Just because they're renewables instead of landfills doesn't mean they're off the hook." Concerns that turbines are unattractive, noisy and dangerous are seen by some scientists, who are exploring possibilities for turbines that float and fly, run without blades or have blades as long as football fields, Hsu reports in another story. The actions of a disability-claim judge who served West Virginia, Kentucky and Ohio has led to a federal investigation of the Huntington, W.Va., Social Security Administration office and a congressional review of how the agency grants disability claims. It has also prompted a story in The Wall Street Journal, along with a nice interactive table where all judges' performance can be examined. On average, judges award payments in about 60 percent of cases and spend about an hour on each case, Patella reports. Daugherty tended to favor one particular lawyer and scheduled hearings 15 minutes apart for as many as 20 of this lawyer's clients. (Read more) Amid investigation surrounding his awards, Daugherty retired on July 13, Carrie Cline of WSAZ-TV in Huntington reports. Social Security disabillity cases appear to be more prevalent in rural areas where men without a high-school diploma are injured and unable, or less able, to perform the sort of manual labor that once sustained them. In Central Appalachia, disabilility lawyers advertise heavily. To view the Journal's interactive list of all Social Security disability judges and data on their cases and awards, click here. The list can be arranged by state, city, judge or other parameter by clicking on the head of the appropriate column. The crisis over raising the national debt ceiling has become so dire that it should be of interest even to locally focused news media, which should help readers, listeners and viewers sort out the facts. Last night's dueling speeches by President Obama and House Speaker John Boehner often strayed from the facts or lacked proper context, reports FactCheck, a non-partisan, non-profit service of the Annenberg Public Policy Center at the University of Pennsylvania. "Obama described raising the debt ceiling as historically 'routine'," FactCheck says, "but this request is the largest in history, even in inflation-adjusted dollars. The president also accused Republicans of favoring tax breaks for oil companies and private jet owners at the expense of Medicare beneficiaries. But those populist tax hikes would not reduce the deficit by even 1 percent." On the other hand, "Boehner claimed Obama is adamantly against 'fundamental changes' to entitlement programs. In fact, the president has proposed $650 billion in cuts to the future growth of Medicare, Medicaid and Social Security. Similarly, Boehner said Obama 'wants a blank check today' just as the president did six months ago [when he asked Congress to raise the ceiling] but the president has now offered spending cuts of between $1.5 trillion and $1.7 trillion over 10 years, including the entitlement cuts." For the full report, click here. More to the substance of the debate, FactCheck recently posted an article answering the question "Does Washington have a spending problem or an income problem?" To read it, click here. 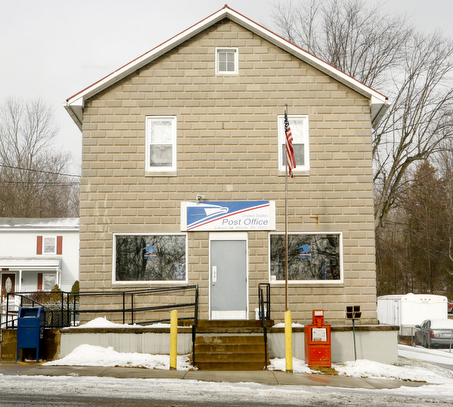 "Our customers' habits have made it clear that they no longer require a physical post office to conduct most of their postal business," Postmaster General Patrick Donahoe said in a statement. "The Postal Service of the future will be smaller, leaner and more competitive and it will continue to drive commerce, serve communities and deliver value." Many places losing post offices will be served by automated stations or local vendors who will sell stamps and other mail supplies. The White House Rural Council, comprising officials from cabinet-level and other major agencies, sparked some skepticism when it was announced in June, since it has no offices or staff and the Obama administration has been largely urban in character, reflecting the weak support the president got from rural voters. This week 24 invited rural leaders, from a wide range of perspectives, met for an hour with Agriculture Secretary Tom Vilsack, who co-chairs the council with Interior Secretary Ken Salazar, and two White House officials. A story about it appears today on the Daily Yonder, published by the Center for Rural Strategies, whose president, Dee Davis, attended the meeting. He was a source for the story, Yonder Co-editor Bill Bishop told us. Attendees are listed at the end of that story. Vilsack told the group that the federal government must "do a better job of focusing on the needs of rural America," and that is why the council was created. It is supposed to give Obama "a specific set of recommendations . . . in the areas of rural opportunity, innovation, quality of life, and natural resources," the Yonder reports. "Further, the secretary announced that there would be a series of cabinet level 'listening sessions' to be held across rural America in the coming year." Charles W. Fluharty of the Rural Policy Research Institute "asked if the council were sustainable, given the drive to reduce the size of the federal government. Secretary Vilsack is practiced at answering questions about farming and he put on a brave face in response to Fluharty, but he didn’t provide much in the way of an answer," the Yonder avers. But Vilsack "expressed some optimism that breakthroughs . 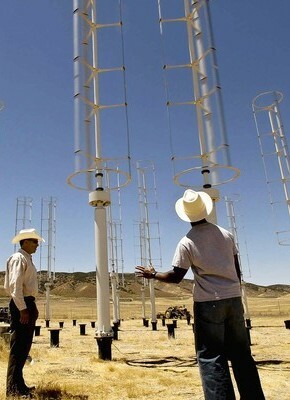 . . are imminent" on concerns expressed at the meeting that tribes face regulatory obstacles in developing wind and solar power. He also answered questions about rural philanthropy, said he is attending a Council on Foundations meeting about rural philanthropy in Kansas City this week, and suggested that the council could help create a plan to guide and encourage rural philanthropy. (Read more) For Vilsack's blog item about the meeting, click here. "Scientists now say that biofuel grasses have the potential to replace corn-based ethanol in a way that is both environmentally and economically beneficial," Colorado State University reports, on a study by researchers at the school and the University of Illinois. Raising switchgrass on land now used to grow corn for ethanol "could result in an increase in ethanol production, a reduction in nitrogen leaching into the Gulf of Mexico, and a reduction in greenhouse gas emission caused from the Corn Belt," the CSU news release said. "The research shows that, by replacing corn ethanol, perennial grasses could increase the productivity of food and fuel within the region without causing additional indirect land use change." The study appears in Frontiers in Ecology and the Environment. As many as 120,000 Arizona residents may lose Medicaid coverage Oct. 1 if the federal government approves a state plan to cut Medicaid, reports Joanna Dodder Nellans of The Daily Courier in Prescott, pop. 40,000. That equals $530 million in revenue losses and approximately 30,000 jobs losses in Arizona hospitals. "These cuts are simply unsustainable," the Arizona Hospital and Health Care Association told U.S. Health and Human Services Secretary Kathleen Sebilius in a letter. The association proposed a self-imposed fee on providers to temporarily cover the state's one-third match so the federal government will continue to pay the other two-thirds, Nellans reports. The fees would not be passed on to patients because the federal government would reimburse providers, but the fee would be considered a tax increase, which requires a two-thirds approval of the Legislature, and "House Speaker Andy Tobin, R-Paulden, agrees with the governor's office that the fee doesn't have a chance," Nellans reports. "Even with the proposed cuts, Arizona still will offer more Medicaid services than most other states, Tobin said." Rural Iowans with employer-based health insurance contribute a higher percentage of their income to health insurance and pay higher deductibles, and their neighbors are less likely to have such insurance available, conducted by David P. Lind & Associates for the University of Iowa's College of Public Health. "They're purchasing greatly reduced benefits: higher deductible plans, higher co-pays," study author David Lind told Adam Belz of the Des Moines Register. "The rural employee is now being asked, on average, to pay almost $1,500 in deductibles for single coverage, versus their urban counterparts, at $1,100." James Merchant, director of the Healthier Workforce Center for Excellence at the College of Public Health, told Belz, "It's not clear why rural health costs are outpacing urban costs. Some theories are the aging population in rural counties and the slightly higher prevalence of obesity, but those factors aren't conclusive." Lind predicts rural and urban employees will see large increases in premiums and deductibles over the next decade. By 2020, the average rural worker, now spending 10 percent of income on health premiums, may spend 22 percent for coverage, Belz reports. Guaranteeing admission, forgiving student loans and giving rural applicants preference are among the solutions many states have tried to entice medical students to settle in rural communities after receiving their degrees. Having had little success with such programs, the University of Kansas is trying a different approach, one pioneered by Indiana University-Terre Haute, and similar to those of osteopathic medical schools in Appalachia. "Many parts of the United States are sparsely populated geographic areas where people need medical care," William Cathcart-Rake, M.D., director of the KU School of Medicine-Salina and local oncologist, said in a release. " By training physicians in a non-metropolitan area, we are showing young medical students that life can be good, and practice can be stimulating outside of the big city." While Salina, population 46,000, has become "the smallest city in the country to host a full medical degree program," as New York native Sulzberger writes (and a commenter below disputes), it's a big town to a lot of rural folks. Here's hoping it has an impact on smaller towns nearby, such as McPherson (13,000), Abilene (6,200) and even Ellsworth (2,400), marked on this Google map. Farmers and state and local officials have criticized the Corps for its management of the river. "The reporters have done an incredible job of tracing [Corps] decisions . . . as snow and rain built up in the upper part of the river and the flooding began," the Daily Yonder notes. The newspaper shares credit with the Washington bureau of Gannett Co. Inc., its publisher. For the story, click here. 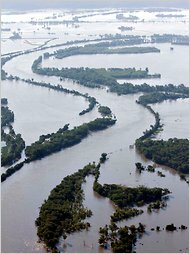 A.G. Sulzberger of The New York Times' Kansas City bureau "reports that conflicting demands on the river — as source of water for recreation, to protect endangered species, for shipping — have diluted the goal of flood protection. The result, say some, is the flood of 2011," the Yonder notes. A study by Humboldt State University's California Center for Rural Policy and UCLA's Center for Health Policy Research confirms that isolated, elderly rural residents lack access to necessary and appropriate health care and tend to be unhealthier than their suburban counterparts. The researchers, using data of California from UCLA's 2007 California Health Interview Survey, identified obesity, lack of physical activity, and poverty as factors that contribute to unhealthier rural elders and compared heart disease, diabetes, and the number of falls among rural, urban and suburban elders in California. Mountaintop-removal coal mining has been linked to higher mortality rates and poverty rates in the latest study by researchers exploring potential links between mountaintop removal and various health factors, Ken Ward Jr. of The Charleston Gazette reports. Michael Hendryx, associate professor in West Virginia University's Department of Community Medicine, collected poverty, mortality and mining statistics for counties in West Virginia, Kentucky, Tennessee and Virginia and compared the data to determine if poverty and death rates were higher in communities with mountaintop-removal mining. "Mountaintop-mining areas had significantly higher mortality rates, total poverty rates and child poverty rates every year," Hendryx wrote in the paper published in the current issue of Journal of Health Disparities Research and Practice, noting that the study was adjusted for other possible factors. "Both poverty and mountaintop mining were independently associated with age-adjusted mortality rates." The U.S. Environmental Protection Agency cited Hendryx's work in issuing its final "guidance" to reduce pollution downstream from large-scale mining operations in Kentucky and West Virginia. "Possible human health impacts from coal mining activities have also been documented, including peer-reviewed public health literature that has preliminarily identified associations between increases in surface coal mining activities and increasing rates of cancer, birth defects, and other health problems in Appalachian communities," Ward notes. The federal government needs to collect more information about the use of antibiotics and the increase in antibiotic-resistant infections, a Government Accountability Office report said this month. The report said in a footnote that "GAO has ongoing work examining antibiotic use in food animals," so it seems likely to have more to say about the topic. Critics have blamed rising antibiotic resistance partly on heavy use in animals raised for food; about three-fourths of antibiotics in the U.S. are used on animals, according to the Food and Drug Administration. However, the GAO report says in a footnote that those data are limited "because they combine therapeutic and subtherapeutic uses of antibiotics and all species of animals. Further, these data do not take into account the dose size, which varies by individual antibiotic and species of animal, or the total number of animals that received antibiotics." The GAO said the federal Centers for Disease Control and Prevention lack sources of data, such as inpatient use of antibiotics by hospitals, to evaluate the extent and causes of rising resistance. "Monitoring overall antibiotic use in humans, including in inpatient and outpatient healthcare settings, is also needed to evaluate the contribution of such use — relative to other causes, such as animal use — to the overall problem of antibiotic resistance," the 66-page report concluded. For a copy, click here.